Exclusive! Celebrate your most loyal companion with this inspiring Life is Better! Quilt Set! 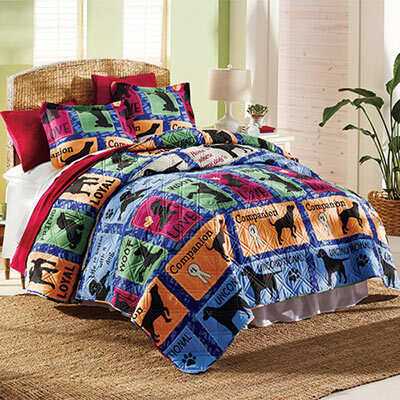 Soft, long-wearing polyester microfiber quilt with polyester fill is easy care. Machine wash. Imported. This thick blanket/bedspread is adorable. It's very well-made and the colors are vibrant. So glad I bought it. This quilt is so cute. Is there a cat one available? I hope so!